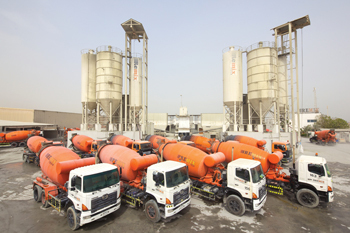 Tech Group opens fifth readymix concrete batching plant in Ajman. Tech Remix, a key player in the region’s industry, currently has four plants operating at full capacity with two in the Jurf Industrial area of Ajman, besides one each in Manama and Masfoot regions within the emirate. Since its establishment in 2003, Tech Group has grown into a vertically integrated company with a leading position in its markets, says the company. The Emirati group has a proven ability to deliver end-to-end construction solutions across a broad range of sectors – ensuring fully integrated whole lifecycle outcomes, it adds. He points out that Tech Remix will continue to invest in modern plant and machinery in line with its $100-million asset upgrade plan announced in 2014. The group is eager to expand operations and believes it is the right time for the company to invest in opportunities in the Dubai market. “We shall continue to invest in the best equipment and technology to improve quality and our operational efficiency. The new batch plant, along with the addition of 15 truck mixers to our existing fleet, is part of our asset upgrade plan. Our client base continues to expand, and our group’s businesses expect to see substantial growth,” he adds.